I Use GenealogyBank for More than Genealogy! I was looking at the posts on Facebook about my old hometown – Stamford, Connecticut – and spotted this painting of a scene just a few blocks from my home. 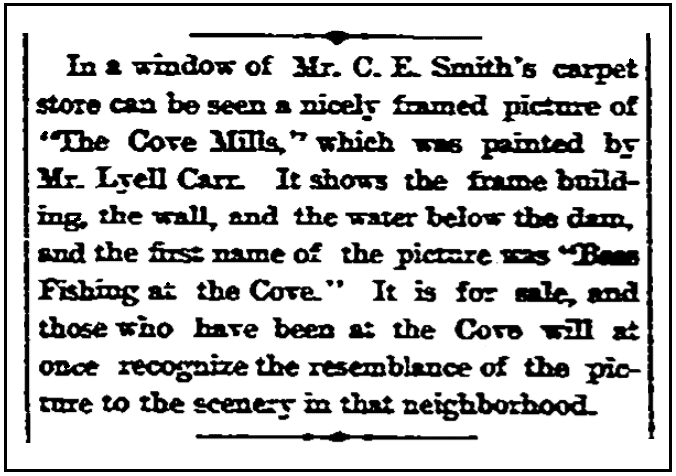 Illustration: “The Cove Mills,” by Lyell Edwin Carr (1854-1912). Source: Facebook. I’ve walked past that mill many times heading to the beaches in the Cove section of Stamford. Winter, summer – it didn’t matter. The Cove was where we headed. Notice the old grist mill stones and oversize gears leaning against the mill. They were still there when I was a kid, just as the artist rendered them in this old painting. I wanted to learn more about the painting and the artist, so I turned to Google. Interesting – I found no reference to this painting. 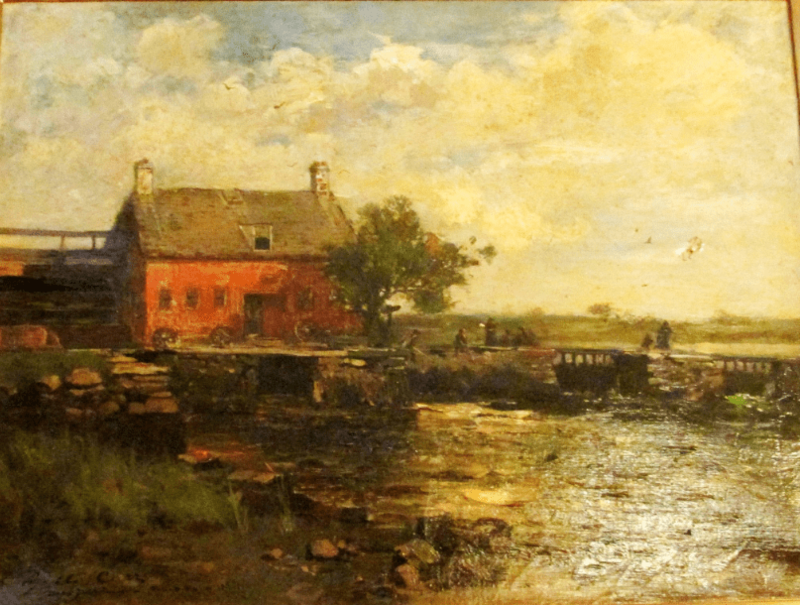 Turning to GenealogyBank’s Historical Newspaper Archives, I searched for the painter and the name of this painting – and quickly found this article. Thank you GenealogyBank for filling in the details about this painting that was posted to Facebook – that brings back so many memories of growing up in the Cove. I used GenealogyBank to help with historical research when I was writing my book, “A Haunted History of Columbus, Ohio.” Through it, I was able to discover the long-forgotten miscarriage of justice from 1858 involving brothel madam Frances Miller and a young man who was attempting to force his way into her establishment after hours. The story got retold on The Travel Channel’s show, “The Dead Files.” I still use your newspaper database all the time for my historical research. I could not be happier with your service! Thank you for the kind words and congratulations – we’re glad that GenealogyBank was able to clear up the details and help you with your research.